A broad coalition of 1,500 unionized news workers will conduct a joint day of action on May 3 — World Press Freedom Day — as part of a national campaign to protest the corporate-led assault on quality journalism. Did you know when you work in a higher classification, you should be paid at a higher rate. If you have worked in a higher classification for any shifts since Jan.
We’re happy to report that our signing bonuses are included in this week’s payroll. Full time employees should be receiving $500 before taxes, and part-timers a prorated bonus based on their hours of work. 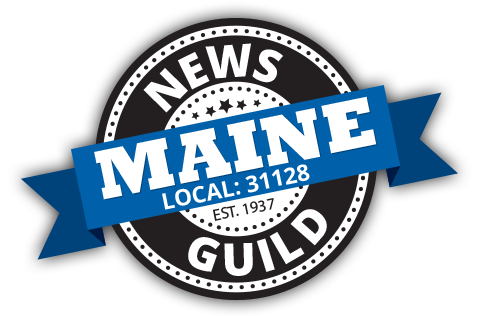 Members of the News Guild of Maine voted unanimously Friday to ratify a contract with MaineToday Media. We are still putting the final touches on the contract, but we feel it’s substantially done and we are ready to schedule a vote. A recent draft of the contract is available for review, although some minor aspects are still being finalized. This month’s membership meeting will be at noon Thursday, Sep. 22 at the One City Center meeting room off the food court. Your Guild bargaining team has made a comprehensive contract proposal to the company based on the feedback we got from members in June’s sticky-note job action.